Nobody can deny the need for a good house foundation. Improperly built foundation footings – unlike poorly installed gutters or gapped hardwood flooring – can eventually bring down the house. 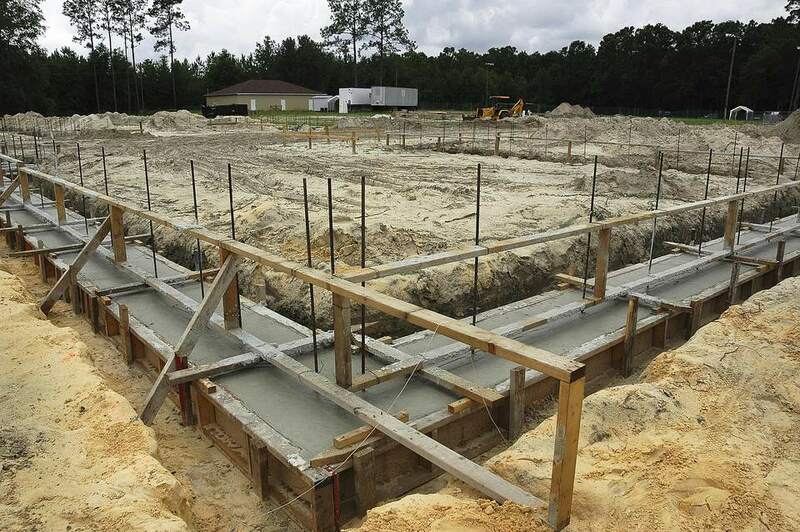 Building codes have a few things to say about foundation footings. Like any code recommendations, these are not how-to guides to building footings so much as parameters you need to observe, based on local code requirements. The following code specifications are derived from the International Building Code (IBC) for 1- and 2-story residences. This "nutshell" guide is intended to give you a general sense of code requirements for foundation footings. The IBC encompasses the International Residential Code (IRC) but includes provisions for commercial buildings as well as residential. The IRC is equally suitable for residential buildings. In the IRC, the chapter relating to foundations and footings is chapter 4: FOUNDATIONS. Keep in mind that each construction project is unique. For example, soil is different from place to place, and thus the load-bearing value of the soil will change. Also, code rules are enforced at the local level, typically through each city's building department. Most local code authorities use the IBC and/or IRC as their model codes but may omit, modify or expand any code specification to suit local conditions and legal requirements. While the IBC and IRC are merely suggested guidelines, the local code is the law. Ground immediately adjacent to the foundation footings (on the exterior of the footings) should slope down at a 5 percent minimum slope. This must continue for at least 10 feet. Code refers to load-bearing values (LBVs) as "presumptive." This means that a soil test is the only way to really know the load-bearing value (LBV) of the soil for the footings on a given site. ​Undisturbed soil is soil that has never been turned over, tilled, graded, hoed, or anything of that nature, by man or machine. Undisturbed soil is significantly stronger than soil that has been disturbed. Depth: Footings should extend to a minimum depth of 12 inches below previously undisturbed soil. Footings also must extend at least 12 inches below the frost line (the depth to which the ground freezes in winter) or must be frost-protected. Width: Footings should have a minimum width of 12 inches. Top: Top of the footings must be level; no exceptions. Bottom: Preference for the bottom of the footing is that it is level. Exception: If building on a sloped grade, you can step the footing as much as 1 unit vertical per 10 units horizontal (or a 10 percent slope). Spread footings help distribute the load carried by the footings over a wider area. The "spread" part is a base that looks like an upside-down "T" and transfers the weight across its area. The spread footing should be no less than 6 inches thick. It should project, on both sides, no less than 2 inches.